The Paris Agreement target of limiting global surface warming to 1.5–2∘C compared to pre-industrial levels by 2100 will still heavily impact the ocean. While ambitious mitigation and adaptation are both needed, the ocean provides major opportunities for action to reduce climate change globally and its impacts on vital ecosystems and ecosystem services. 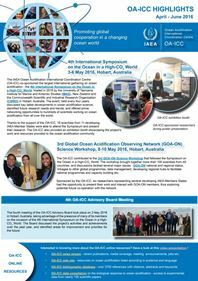 A comprehensive and systematic assessment of 13 global- and local-scale, ocean-based measures was performed to help steer the development and implementation of technologies and actions toward a sustainable outcome. We show that (1) all measures have tradeoffs and multiple criteria must be used for a comprehensive assessment of their potential, (2) greatest benefit is derived by combining global and local solutions, some of which could be implemented or scaled-up immediately, (3) some measures are too uncertain to be recommended yet, (4) political consistency must be achieved through effective cross-scale governance mechanisms, (5) scientific effort must focus on effectiveness, co-benefits, disbenefits, and costs of poorly tested as well as new and emerging measures. Gattuso J.-P., Magnan A. K., Bopp L., Cheung W. W. L., Duarte C. M., Hinkel J., Mcleod E., Micheli F., Oschlies A., Williamson P., Billé R., Chalastani V. I., Gates R. D., Irisson J.-O., Middelburg J. J., Pörtner H.-O. & Rau G. H., 2018. 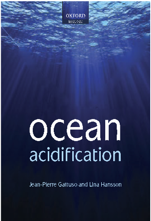 Ocean solutions to address climate change and its effects on marine ecosystems. Frontiers in Marine Science 5: 337. doi:10.3389/fmars.2018.00337. Article.